Our charming wedding barn will make the perfect venue for your special day. Create memories here that you will cherish for a lifetime. Our venue is nestled in the woods of Alexander, Arkansas. The peaceful and inviting setting is the perfect place to start your forever adventure. The choice is yours to have a beautiful country charm wedding or embrace a breath taking vintage romance ceremony. The ambiance is very inviting and peaceful. In this climate controlled facility you and your guests can enjoy the party even if it’s 100 degrees outside. Our barn has ladies and a gentleman’s dressing room, two bathrooms, fireplace and outdoor fire pit. We provide tables, benches, chairs and lots of decorations for you to choose from. You need to visit the barn to feel the comfort and peace it provides. 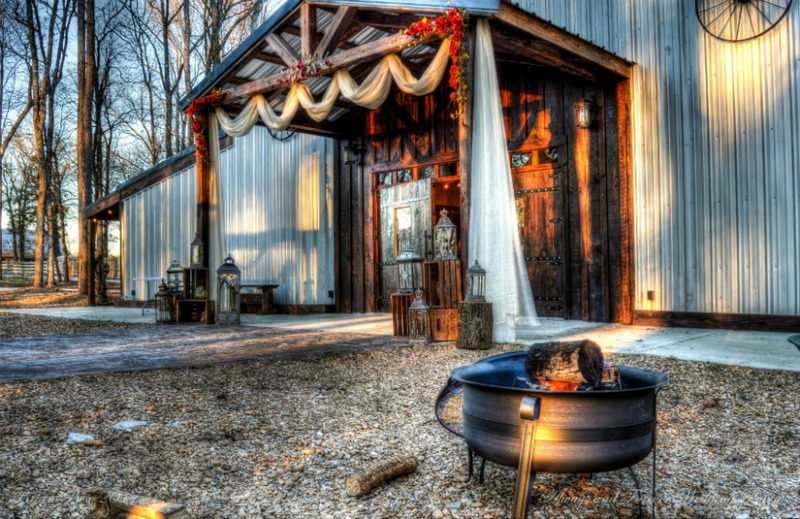 This romantic package includes: access to the barn and all the amenities for a Friday and Saturday event. This will give you the time it takes to decorate and rehearse for your special day. This timely package is for any Friday or Sunday event. It includes the barn and all its amenities. This package is for a more private, personal and small events of less than 60 people. This package is for any Saturday event. It includes the barn and all its amenities.